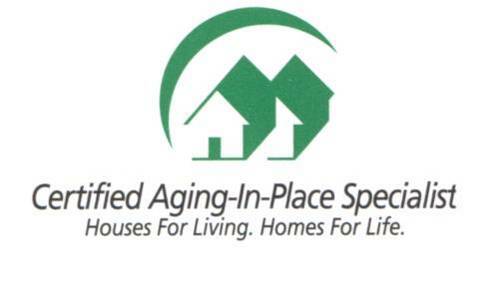 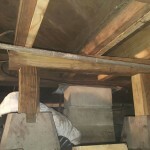 The view is from under a 1950's bungalow style home where the working space was about 24in tall. 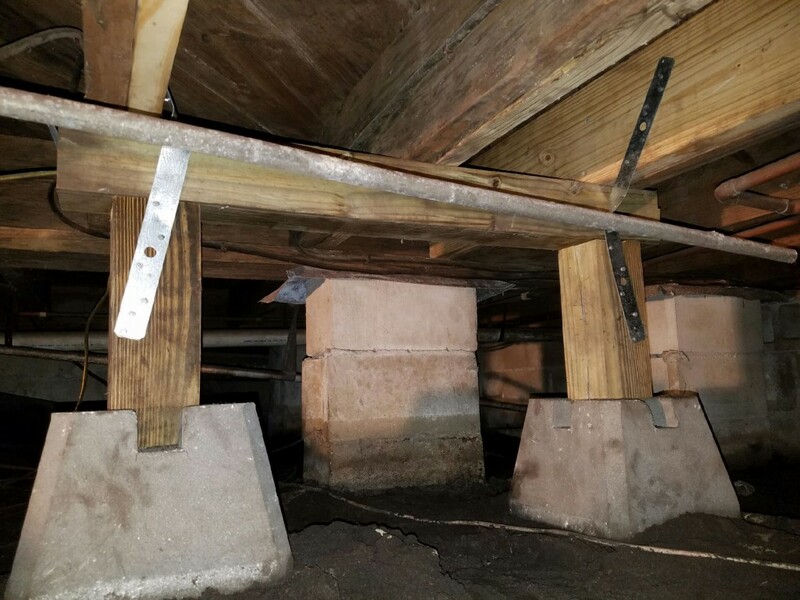 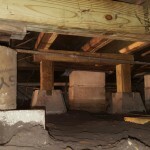 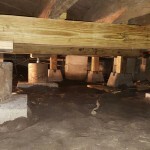 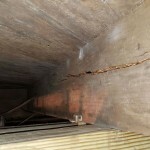 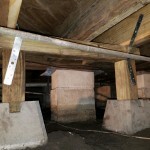 The floor joist in question was braced and jacked up into its correct position and leveled, 2 2x8 scabs installed on either side of the failure and tie together to the next to hoist for strength. 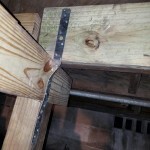 Blocking and strapping was installed to tie all structures together as one.